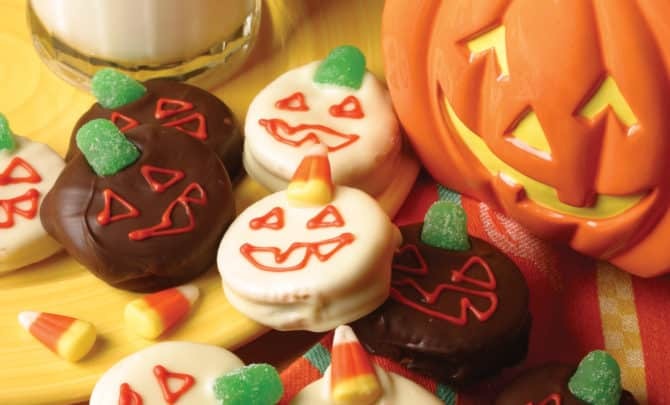 Home » Health & Wellness News & Articles » Are sweets really so spooky? Are sweets really so spooky? Do you love your treats but are always fighting with yourself to avoid them? It doesn’t need to be this way. In this post, we explain to how often you can have your treats if you are watching your weight, and how to stick to the deal. A treat or not a treat? Not all treats are created equal. A serving of cake, some sweets, pizza, some crackers, an ice cream, fried chicken, piece of dark chocolate or a small cookie – they all affect your body in different way. Empty calories (food that don’t have any nutritional value) should be 100% avoided. Examples: candy and sodas. Highly processed food should be avoided as much as possible, and when consumed should be considered a treat. This type of food contains hidden ingredients that we don’t really recognize as negative. Also, it is designed to trigger our most inner desires and to make us crave that food again, making us addicted not only to that flavor but to the whole sensorial experience. How often can you have treats if you're watching your weight? Once a day: a small treat like a small piece of chocolate or a small cookie. Once a week: some ice cream, fruit yogurt, small muffin, croissant, a piece of pizza, a hamburger or hot dog bun or sweetened cereals. On special occasions: a piece of a rich cake or a decadent dessert, highly processed food. It shouldn’t happen more OFTEN than every two weeks. How can you be smart about your treats? Eat dark chocolate instead of milk chocolate since it contains less sugar. Eat whole wheat, whole grain or oatmeal cookies, muffins etc. Cook your own treats so you can make them healthier. Learn about healthy portion sizes and have a plan: Make the portion size of your treat count on your meal. For example, if you really want to have ice cream for dessert, use part of your meal’s protein and carbs for the ice cream. And most importantly, when you have your treat, don’t feel guilty about it and FULLY ENJOY IT!